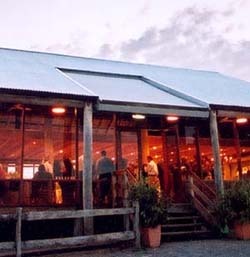 The Tocal Function Centre is unique in the Hunter region for its peaceful location and relaxing atmosphere. The Centre was built to provide a facility for visitors to Tocal to understand and learn more about the Homestead, the College and the property. Fortunately the design of the building allows for the Centre to be used as a function venue. For more information contact Sandy Earle (Homestead Coordinator) by email info@tocal.com or by phone on 1800 025 520 or 02 4939 8901. Tocal Function Centre offers brides a range of unique options for their ceremony and reception. The heritage buildings and beautiful landscape provide the perfect backdrop for a wonderful wedding day. The Tocal Chapel, a magnificent structure in the heart of the College campus, is also available for ceremonies. The Chapel seats 130 in freestanding chairs that can be arranged to suit your needs. This flexibility, the subtle lighting and the serene atmosphere makes Tocal Chapel an ideal location for your wedding ceremony. The Tocal Homestead complex provides a range of opportunities for wedding photographs from the magnificent 1841 Homestead to gardens, outbuildings and sheds dating from 1822.